A quick explanation of the duplicate content item feature and overlay. This feature creates an exact duplicate of a content item. 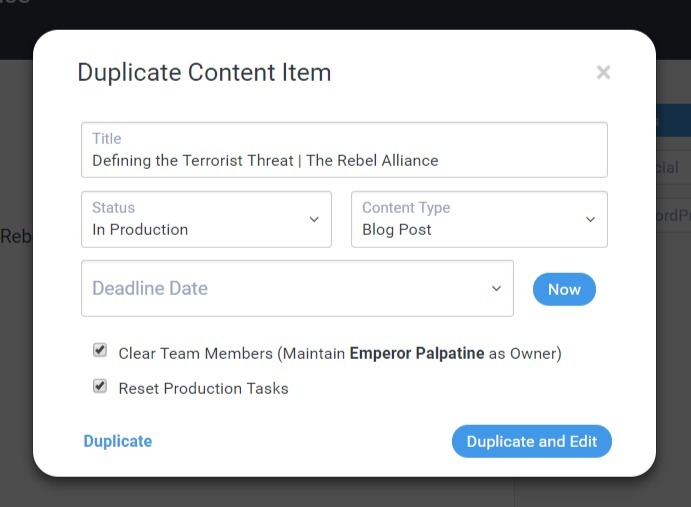 Just click Duplicate and Divvy will create a duplicate with all the same content, details, tasks, meta data and attachments included in the original item. To get the process started, click the duplicate icon towards the upper right of the content item's content editor interface.